As I mentioned in my last post my reading has been rather slow this month. The garden, family, other hobbies have taken up more time than usual. Thus, only four books read in May, although one of those was over 1,000 pages long so really that's the same as three ordinary books... Regardless, four is better than none at all and I'm quite happy with that. So, one fantasy for the Once Upon a Time IX challenge and three crime tales. Not hard to see where my heart lies these days. A nice mix of crime too, a vintage one, an American one and an historical. Confession: I seem to have read no non-fiction at all this month. Not at all sure how I let that happen but there you go. Despite that I've still managed to learn a bit about the Peninsula war, Waterloo, George III, Wyoming and Ancient Rome. So that's not too shabby. So, a slowish month but I enjoyed what I read and that's the main thing. I'm starting this month with a non-fiction, Travels with a Donkey in the Cevennes by Robert Louis Stevenson. Also need to read the last of Angie Sage's Septimus Heap books - Fyre - by Friday as my grand-daughter and I are going to see her that evening as part of our town's Literary Festival. The author is taking part in a fantasy book panel. On the Saturday we're attending a crime panel. Should be interesting. I hope June is a good reading month for you. My reading continues to be slow this month... various reasons such as the garden and this week, family stuff with the halfterm holidays. 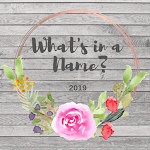 I have managed to read a bit though and this post is all about getting myself up to date with a couple of crime book reviews. 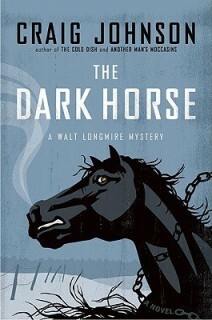 First up, The Dark Horse by Craig Johnson. Wade Barsad, a rancher with a criminal past, has been shot dead by his wife, Mary. He burned down the barn, killing her beloved horses, so she shot him six times in the head. Has confessed in fact. But something about the case is making Sheriff Walt Longmire uneasy. Quite a few people had reason to want Barsad dead and despite her confession Mary seems vague and confused. Longmire goes undercover to another county, where he doesn't have juristicion, to investigate. For some reason I didn't love this the way I've loved previous books in the Walt Longmire series. It was ok, not terrible, but I found the manner in which the timeline shifts back and forth distracting. The book starts with him arriving in the town where he's going undercover but then proceeds to go back a week or so and then forward again... all through the book. Not keen on this way of presenting a story to be honest. I also missed the cast of characters that usually inhabit these books, Henry Standing Bear, Vic, Ruby and so on. They made brief appearances but not really enough for me. What I did enjoy, as always, was the Wyoming setting. It's a huge canvas and the author always tranports me right there. One section where Walt and two other characters set off to camp on a mesa was beautifully described and funnily enough that was actually when the plot took off for me. The Dark Horse is book 5 in the Longmire series and the last of the books that I own. I now have to decide whether to buy any more. It's also my book 13 for Bev's Mount TBR 2015 challenge. 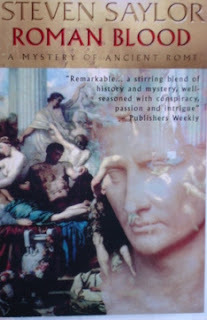 Next, Roman Blood by Steven Saylor. Gordianus the Finder is an investigator of crimes in Rome in 80BC. A slave known as Tiro arrives one morning asking him to accompany him to his master, Cicero, an advocate, who has work for him. An elderly man, Sextus Roscius, has been murdered in the street in the middle of the night. The man's son has been arrested for the murder. Even though he was out of the city at the time it's thought he arranged for three men to kill his father. 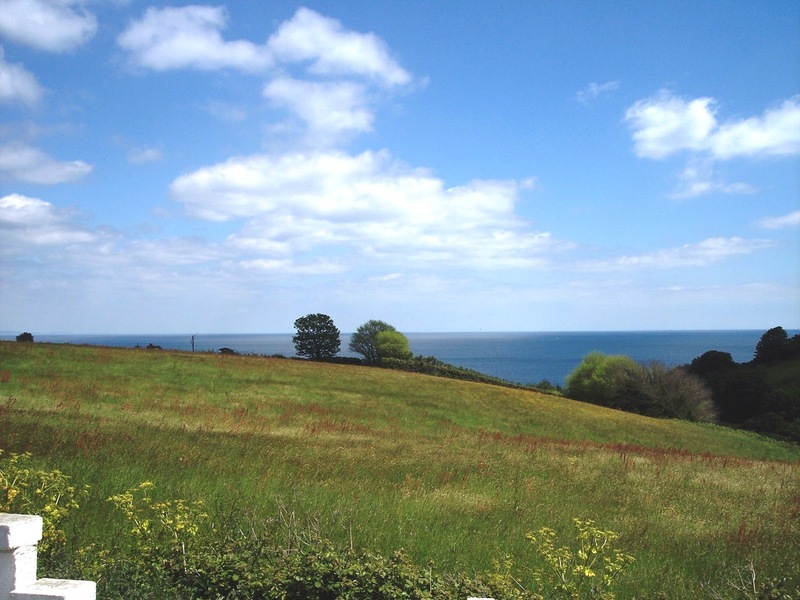 But some greedy relations stood to gain from the old man's death and have now taken over the family farm. Cicero, wants Gordianus to help him prove the son's innocence... but it's not as straightforward as it sounds. Rome is nothing if not corrupt and that corruption goes all the way to the top, to the current dictator, Sulla. This case could be extremely dangerous to Gordianus's health and to those who associate with him. I really liked this! A friend suggested the series and lent me the first four books so I'm very pleased to be able to read more as and when I like. What I liked most was the historical detail. I've read a few books about Rome and of course seen I, Claudius on the TV. But books like this that are well researched can teach you lot. I knew there were slaves in ancient Rome for instance, but not to what extent they propped up society or minute details of their way of life and treatment. I found it fascinating. The crime element was also very good, lots of twists and turns and much intrigue surrounding the political situation. Not normally my sort of thing but it was well done here. All in all, a great start to a 'new to me' series and I look forward to reading more. 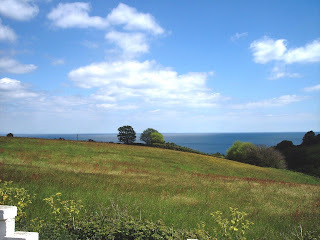 And to finish the post, a photo I took when we had lunch at a pub overlooking the coast on Tuesday. I liked it so much it's now on my main Facebook page. Goodness, I haven't posted since the 3rd. This is all down to reading the longest book in the history of publishing... well... not quite... but it felt like it at times... and also being a bit busy with the garden at the moment. So, slightly shorter book reviews are the order of the day and this'll be a two in one post. 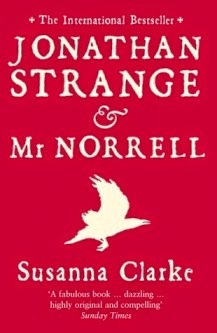 First up is Jonathan Strange and Mr. Norrell by Susanna Clarke. It's the early 1800s and magic is something which has been lost to England... there are still theoretical magicians but no one has practiced it for hundreds of years. In York some local theoretical magicians decide to visit a Mr. Gilbert Norrell who, it's said, knows more about magic than anyone in England and has the most magnificent library on the subject. The visit is not a success and he decides to teach them a practical lesson. One night he makes the statues and grotesques in York Minster come alive and talk. It naturally causes a sensation and Mr. Norrell decides to move to London and be the one responsible for bringing magic back to England. It proves to be a difficult task but eventually a couple of hangers-on manage to bring him to the notice of the powers that be. Norrell's idea is to be the 'only' magician in England and takes steps to stop others taking it up. He's unable to stop Jonathan Strange though and eventually the two men come together to be England's only practicing magicians. One of Mr. Norrell's first acts of magic was to raise the wife of a politican from the dead and it's the repercussions of this which will shape the future of the two men and those of their loved ones and followers. It took me about two weeks to read this mammoth book (it's just over 1,000 pages long). I wanted to read it because the BBC's dramatisation of it starts on Sunday night and I wanted to have read the book before I saw it. I find this helps with understanding what's going on as these film makers tend to cut so much. Anyway, this alternate reality fantasty/history tale is a remarkable piece of work and an astonishing achievement on the author's part. Really amazing. So why do I feel a bit ambivilent about it? I'm not sure. On the one hand I found the idea of magic being a reality in Regency times totally beguiling, some of the ideas are intriguing and mind-boggling. BUT I know that quite a few people have given up on the book about 200 pages in. And, weirdly, for one who did make it to the end, I completely understand why. It rambles. And it rambles. And then it rambles some more. Scores of long footnotes in tiny, tiny writing try your patience when you have 62 year old eyes and are struggling to read them. The author has no notion of conciseness and I'm afraid I thought more than once, 'Oh, please get on with it!' And yet... 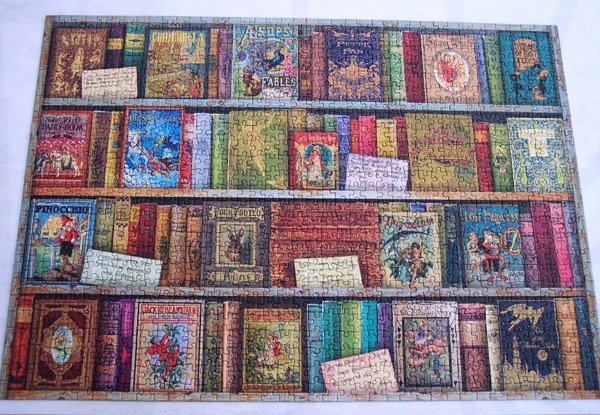 I wonder if it would be quite as remarkable a book with a couple of hundred pages edited out. Part of me says 'Yes!' Part of me is not so sure. For many, its length is actually part of its appeal and I do understand that. Anyway, regardless of all this indecisiveness, I am glad I read it and if, as I hear rumoured, there's a sequel on the way I shall read it. I gather it will be about two of the minor characters in JS&MrN... Childermass - Norrell's assistant - and Vinculus, a 'maybe' magician. I would love to read more about Childermass as I thought he was one of the most interesting characters in the book and not made enough of. I'll just add that I did enjoy the historical elements of the book. There's a lot about the Peninsula War, Waterloo, King George III and how his illness was treated and so on. All fascinating stuff. Jonathan Strange and Mr. Norrell is my book 5 for Carl's Once Upon a Time IX and my book 12 for Bev's Mount TBR 2015 challenge. Next, The Mysterious Affair at Styles by Agatha Christie. 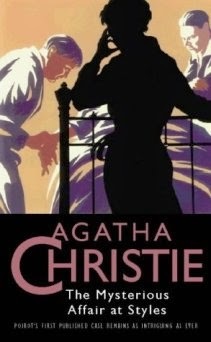 This was Agatha Christie's very first book and also Hercule Poirot's first appearance. I was keen to read it as she talks quite a bit about how it came to be written in her autobiography: it was as a result of a bet with her older sister. Her main regret about Poirot was that she felt she'd made him too old in his first outing as he would have been well over a hundred in the last book! As a first book I found it to be surprisingly readable. You tend to give a bit of leeway with first books, especially given that Christie was only in her early twenties when she wrote it, but it's not necessary with this. It's good. Hastings is the first person narrator and his character really leaps off the page. I love his delusions of cleverness when it comes to detective work and his weakness for women which he doesn't seem to be aware of. I think Agatha Christie knew men well as none of hers are perfect, all have weaknesses and failings. Same for women... she knew how to portray all human failings with deadly, pin-point accuracy. She threw no punches! Anyway, enjoyable and fun to link it with Christie's real life as a despenser in WWI. It's clear she knew all about poisons. There will be more books by Agatha Christie as this year progresses. I've had Agatha Christie's autobiography sitting on my TBR pile for several years now and remember buying it because Margaret at Booksplease liked it so much. At the time I hadn't read many of her books other than the ones I'd read as a teenager; now I've read a few more I thought it was time to read her autobiography.